On behalf of Atalie’s Hope and the Fishkin family we thank you for your generosity and belief in our mission. 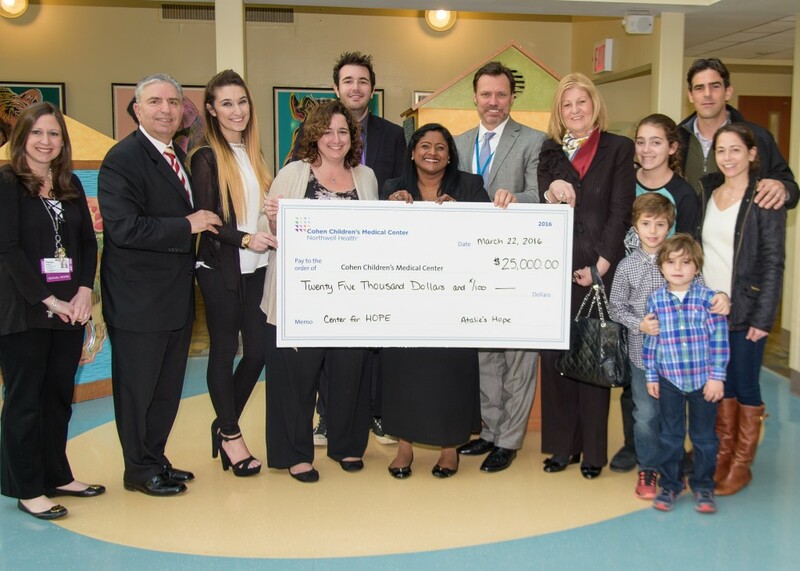 With proceeds raised from several events including a benefit in honor of the late Stuart Fishkin, Atalie’s Hope was able to provide The Center for Hope program with a $25,000 donation. The program provides assistance to families and children struggling with the loss or suffering of a parent. Our goals could not be realized without your generous support. We thank you for providing a little bit of joy, much needed comfort, and hope to children whose lives have been turned upside down. A great tribute to the memory of both Stuart and Atalie who were dedicated to protecting the lives of children. Atalie’s Hope would like to recognize Donna Fishkin and her family for their generosity and support. Donna recently organized a benefit event in honor of her late husband Stuart Fishkin. The event was a tremendous success raising over fifty-thousand dollars in his memory. The proceeds of which enable us to support programs like the Center for Hope which her daughter is a part of – programs that provide assistance to families and children struggling with the loss or suffering of a parent. The great turnout was a true testament to Stu’s legacy – a dedicated police officer, devoted husband, father, friend and a protector of children. He was a great man and clearly touched the lives of many. Again, we would like to thank the Fishkin family for their tireless support in creating such a successful event and dedication to our cause.